Aspiring filmmakers can already submit their 3-minute entries to the 180 Microcinema Festival, an online film competition organized by the Film Development Council of the Philippines. Can you create a film that will run for only 180 seconds? That is the challenge of the 180 Microcinema Festivalsponsored by the Film Development Council of the Philippines (FDCP). This shortfilm competition is open to all Filipinos and will have three categories:Narrative, Experimental and Documentary. In a press conference held at the FDCP office recently, FDCP chairman Rolando"Jackie" Atienza explained why they decided to launch this online film festival,which he refers to as a "unique experiment." The head of the FDCP pointed out, "We are aware that there will eventually aconvergence between the Internet and filmmaking. With 180, we are, in fact,converging the two different activities. "We are giving filmmakers another outlet, another venue for expressingcreativity. And I think it will happen that as the Internet develops, that itwill play a much more major role in filmmaking. This is a unique attempt to drawin a lot of participation from people who otherwise cannot create films becauseof the resources required. "We feel that with three minutes, it should be easy enough to express yourcreative impulses. We also feel that if we do get a lot of entries to thiscompetition, we will be able to get a pulse-the pulse of the public...so we willhave a feel for popular culture. This will last for about six months; we hopethat a lot of people will participate, in what is a unique experiment." What is the significance of the number 180? "180 because the entries must be three minutes or equivalent to 180seconds," he says. "Also, 180 because it represents a turn, so, it's a returnfrom the conventional. So that's really why we chose 180." Why did the FDCP choose to organize a short film festival? "Because, nobody's doing it. As a matter of philosophy, whenwe feel that the private sector is capable or is willing to do things, then weleave it up to them. But if there are gaps, like in this particular case,there's nobody doing this particular type of thing, then we do it and try tofill the gap." HARNESS THE INTERNET.As the proponent of the 180 Microcinema Festival, project officer VinciNakpil-Roxas hopes to showcase the different facets of Filipino culture throughthis online film competition. "What we are trying to do here place more emphasis in a short form versus thelong form. Because of the emergence of the Internet, attention spans have becameshorter and shorter. And so we're trying to harness the Internet to allowpeople to express themselves--especially Filipinos--and then show a snapshot ofwhat people's inclination are right now." Vinci (who is actually a descendant of Julia Nakpil and agreat, great grandson of Gregoria de Jesus) told PEP that they have scheduledthree rounds of eliminations for the next six months. "We will have three batches because if you don't split them out into batches,the people who submit first will have the advantage, kasi they'll be online fora much longer time. Pag pinapakita na [sa website] yung first batch, yun langyung pwede i-vote ng mga users. This way, it will be fair for everyone." For the first batch, the deadline is on August26, the second batch should be in by September26, and the third batch of entries must be submitted by October 26. 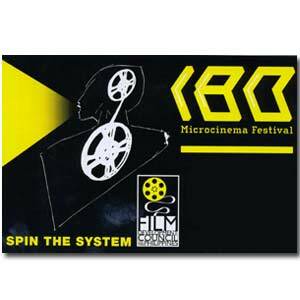 The awards night of the 180 Microcinema Festival is slated for January 15, 2010. MECHANICS. Entries should have amaximum file size of 200Mb and a maximum running time of 3 minutes (180seconds). Each entry must also fall into one of the following categories: Narrative, Experimentaland Documentary. There is no limit to the number of entries a participant may submit. Winners will bechosen through online user votes and a Jury Panel headed by Jeremy Segay, Asianspecialist of the Cannes Film Festival Directors' Fortnight. Jury selection winners will receive P30,000 each, while First, Second,and Third Place Winners from each category will receive P30,000; P20,000; andP10,000 respectively. The First Placewinners of each category and Jury Prize winners will have the chance to pitchfor a full-length film development deal with Regal Entertainment. Findthe festival rules, mechanics, and other resources at www.180cinema.net.For more information, e-mail info@180cinema.net or call 634-6984,633-2204 or 632-9512. After ensuring that	the entries adhere to the mechanics of the festival, filmmakers should send	FDCP a link to the file via Sendspace, Yousendit, or other large file-sending	sites to submissions@180cinema.net. Participants must also	either fax their complete entry forms to (632) 638-2739 or scan and e-mail them	to submissions@180cinema.net	along with the link to the file.